Posted 8/12/2018 7:27am by Stephanie Bradshaw. We are incredibly blessed to be receiving some much needed rain! It was so dry - the pepper plants were looking pretty pitiful, but now they are looking very perky! Hooray for rain!! 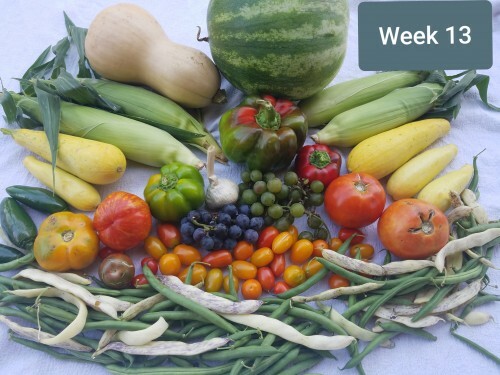 Despite the dry start to the week, our Week 13 Farm Shares were beautiful. The colors, taste and textures were amazing. We like to encourage our community to eat more fruits and veggies - and a popular slogan is, "Eat the Rainbow". It's important to incorporate as many natural colors and flavors into your diet. We all accomplished that this week! Those concord grapes are so sweet - and if you can overlook the seeds, they are a wonderful treat! We are blessed to have these local grapes from the Brubaker's organic farm. It's amazing that one farm can produce so much variety! We are blessed! Speaking of blessed.....We're excited to announce that Apple Season has officially started! Now, that's a blessing! We receive our apples from a different farm than the produce. This farm is not organic - but does practice. Integrated Pest Management (IPM). We are so impressed with these apples and the way they are raised, not to mention they are fresh picked and LOCAL! Did you know that the average age of an apple (conventional or organic) is around 14 months? Yes, you read that right, 14 months! After three months the apples begin to lose most of their nutritional benefits. It's crazy, but true! Here's what they do: "It's like putting the fruit to sleep. In a sealed room, the oxygen that the fruit takes in and gives off as carbon dioxide is reduced, slowing the ripening process. Oxygen is replaced by nitrogen gas. Temperatures are reduced and kept in the low to mid-30s." Those of you who are skeptical can read more HERE! I don't know about you...but I like my apples to be "awake" and local - preferably crisp, sweet and full of antioxidants and nutrients! Be sure to check out the Farm Store to order. Right now, we are offering a few of the JonnaMac apples and the Easy Grow, which are a Cortland type apple. 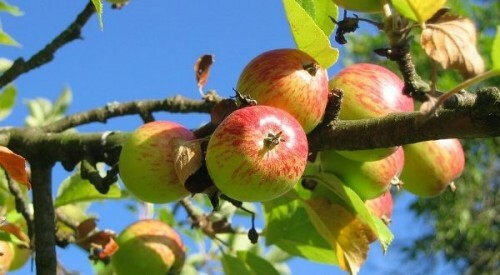 We will have different apples coming in from now until November! Yay!!!! Our Harvest Report for Week 14 is looking something like this: Potatoes, Okra, Cherry Tomatoes, Onions, Garlic, Peppers, Grapes, Green beans, and Cucumbers! We've got a second planting of watermelons that should be coming in over the next several weeks - as long as the weather cooperates. Plus, we are attempting something totally new this season....Micro-greens! We hope to have those in this week too, but again, this is our first time to try - so we don't want to guarantee anything! 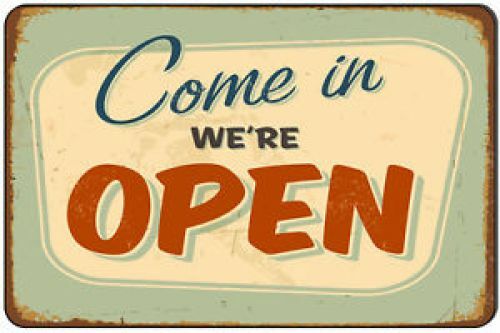 Don't forget, the Farm Store is OPEN! Go browse all the new items that we have added. Our lambs finally went to market - so we've got pasture raised katahdin lamb available, HERE. These lambs are hair sheep and do not have a strong "lamby" taste since they do not produce as much lanolin in their hair. It's that lanolin that gives some lamb that strong flavor. This is very mild and tender. We've also added some homemade lye soap...this is a very mild soap, perfect for sensitive skin. There are no chemicals or added scents...just a nice, natural soap - just like your great-grandma made. Have a wonderful week, friends! We are so thankful for your continued support and encouragement.